There is no denying that horses live in climates that range from the snows of Siberia to the deserts of Arabia. Millennia of natural and manmade selection have created horses adapted to all types of climates. Humans, too, have adapted to those climates – but would you venture out into Siberia without proper attire? More to the point, are you prepared to live outside in that winter climate? Odds are that in cold weather your house is warmer than the outside temperature; and in hot weather, you keep it cooler. You likely seek shelter from the rain, even if just to sleep. My point is not that horses aren’t well suited for a life outside, 24/7. They most certainly can live that way. My point is only that just because they can, does that actually mean that they should have to? More importantly – does it mean that is what they prefer? Noble is not unique in my horsekeeping experience. 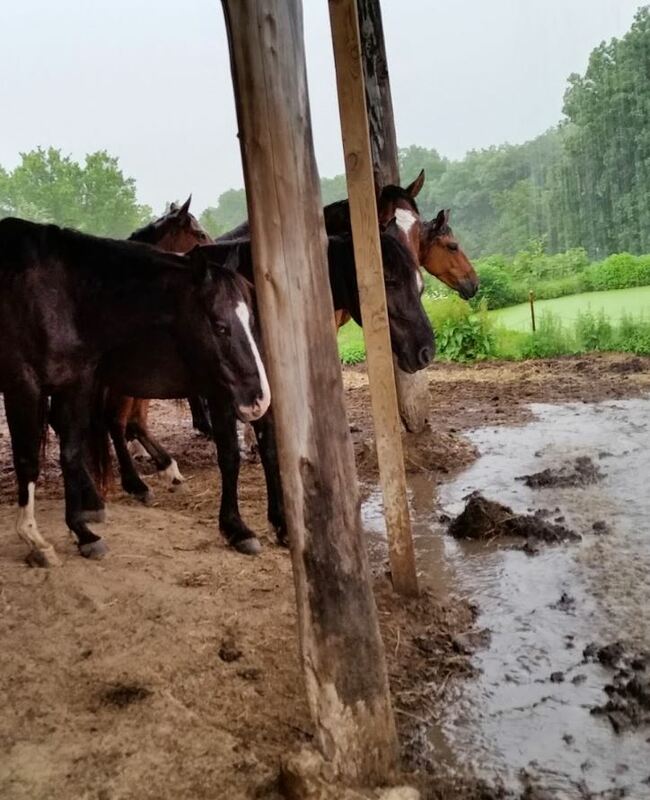 Although the horses we’ve kept over the past forty-plus years have had varying tolerances for rain and mud, to a horse they have chosen shelter in a stall when the weather turns really bad. None have ever made the choice to venture outside in a storm. When I drive around the neighborhood, while the weather is nasty, I do see many horses outside – always because they have no choice. All survive, and all seem fine when the weather clears – but during the storm, all are simply hunkered down, waiting for it to pass. None seem to be enjoying the weather, and I think of mine making the choice to stay in where it is warm and dry. In many cases the owners of those horses have no choice – they don’t have a barn, and around here likely cannot afford to add one. I certainly mean no disrespect for anyone doing the best they can for their horses. I only take issue with those who make blanket statements about the ‘best’ ways to care for horses. It has become a fashion to put forth horsekeeping that ‘replicates’ a wild horse’s life as being the ideal way to keep horses. Barefoot and always outside are seen as far more virtuous than anyone who even considers shoes and a barn. Yet, we choose to wear shoes and live in a house. Modern horses are not horses adapted to the wild, just as we are not our hairier, tougher ancient ancestors. We have chosen comfort, yet find virtue in denying it to an animal we have adapted to our own needs. It defies logic. My experience has shown that horses’ preference for access to a stall, or at least shelter, is not limited to times of bad weather. When my horses have had free access to both stall and open space (my preferred setup), they have all chosen to alternate their time between the two. They have all enjoyed periodic naps in their bedded stalls, in between trips out to graze or play. 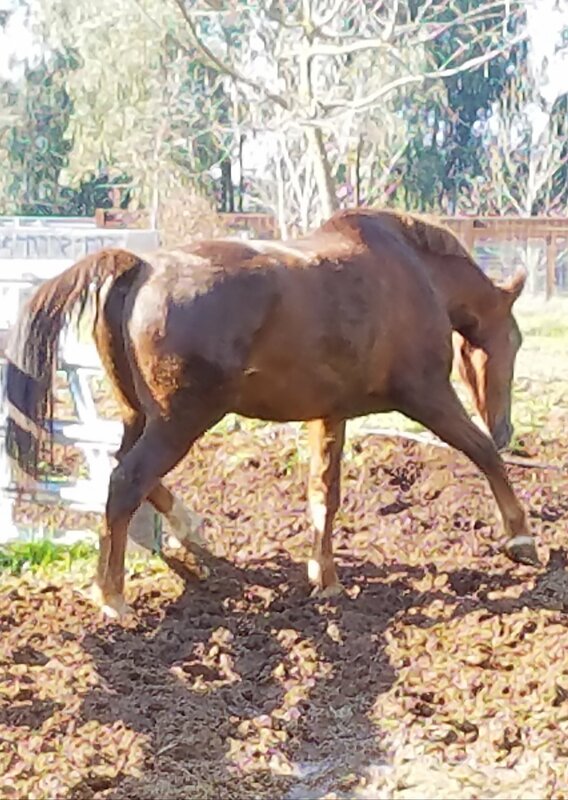 The usual response I get from the ‘never stalls’ crowd is that this is because my horses have been programmed for this – that it is somehow aberrant behavior. The problem with the ‘horses who like stalls are only those who were raised in stalls’ argument is that it cannot explain our mustang. Ricky was born on the plains, then kept in large open pens for the better of a year after capture. Yet, in about 24 hours of having access to a stall, he was going into it by choice. The bulk of his time was certainly outside, but he was quickly comfortable inside and chose to spend periods of time there. Of course, there will always be those horses who prefer to stay out in most conditions – but I put that down to personal preference and tolerance. I certainly enjoy a walk in all but the most torrential rains, yet I see other people pulling out the umbrella in the lightest sprinkle. There are humans who make a conscious choice to live rough, while I prefer to sleep in a real bed, with a real roof. 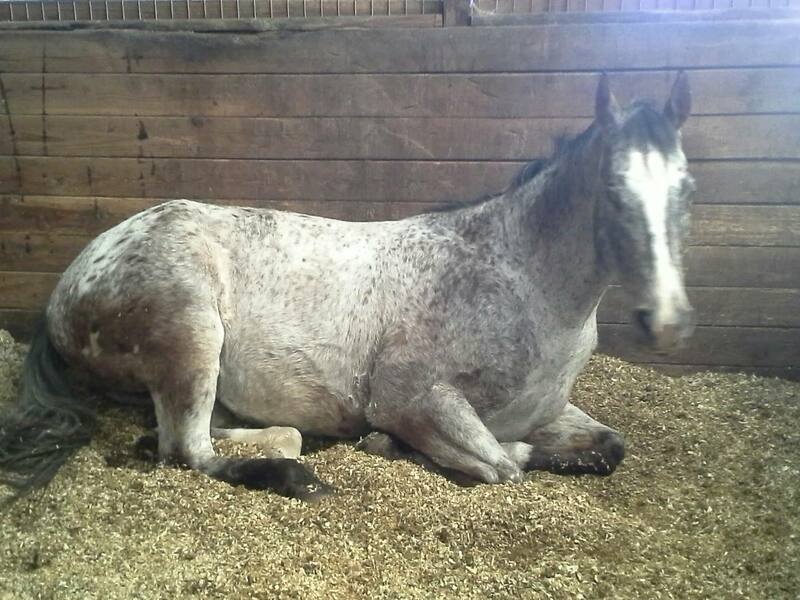 Is it so hard to imagine that horses given options might express preferences for comfort? Studies are already showing that they generally show a preference for deeply bedded stalls, shade on hot days, and when taught to express a preference for blanket on or off, tended to want one on in cold or rain, and off when it was warm. Is any of that really surprising? The mud having dried enough, Noble picks his way out back once again. If there is anything that I have learned in nearly fifty years of living with horses, it’s that there truly is no black and white answer to anything about horses. They are individuals with strengths, weaknesses, opinions, and preferences. We cannot always accommodate (or even know) our horse’s preferences – but we do much better if we try to find out what those preferences are, rather than make decisions based upon our view of what a horse is, or how it should live. So, Noble’s gate will remain open, but we won’t expect to see him out in the rain or the mud. 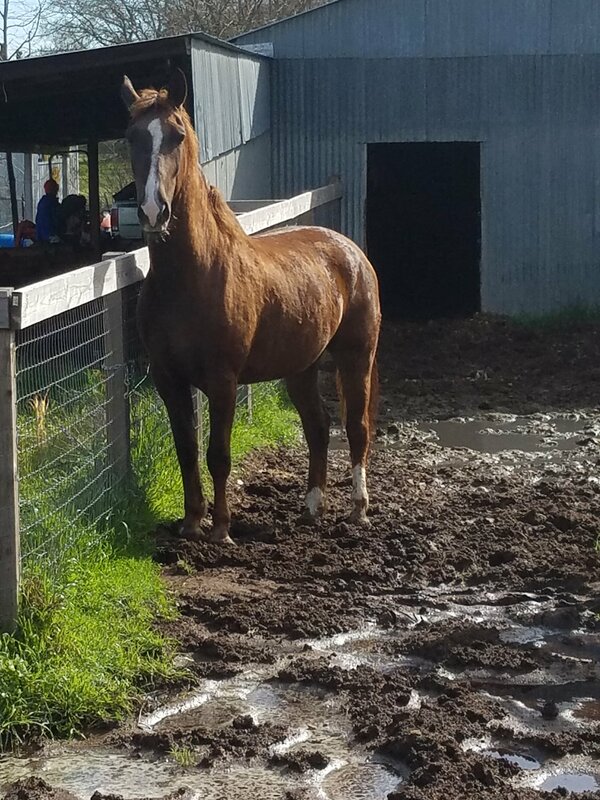 This entry was posted in Horsemanship, Thinking Out Loud and tagged horse preferences, horsekeeping, horses, Noble, personal preferences, shelter, stalls, turnout. Bookmark the permalink.